Hello everyone! 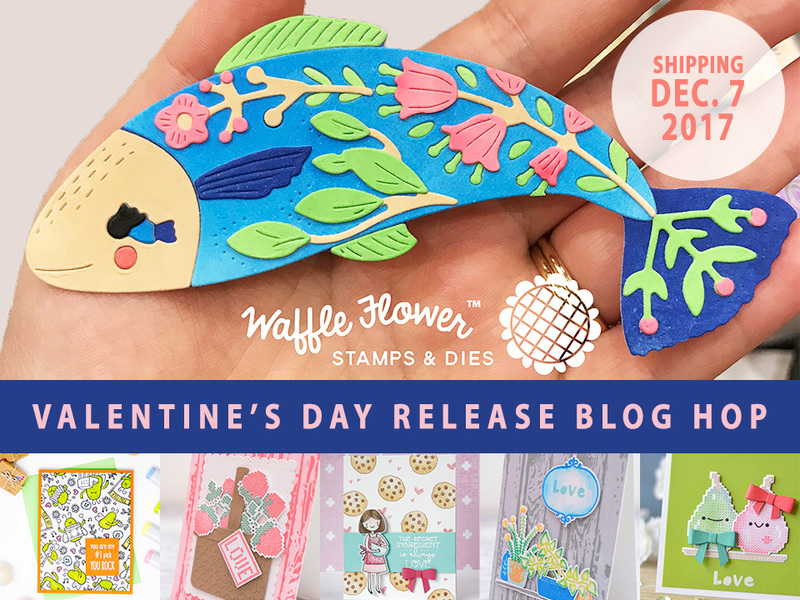 Welcome to the Waffle Flower V-Day 2018 Release Blog Hop. I'm so happy to have you here! Make sure to read until the end because there is a giveaway too! ¡Hola a todos! Bienvenidos al blog hop de Waffle Flower "V-Day 2018". ¡Estoy encantada de teneros por aquí! Os recomiendo que leáis hasta el final porque ¡también hay premios! El set de sellos más pequeño de la nueva colección esconde un potencial enorme para hacer tarjetas de amor fáciles y rápidas. Además ¡lo podéis conseguir gratis! (Los detalles al final de la entrada). To celebrate the new release, all orders over $25 placed by 11:59pm ET on 12/10/17 with code VDAY2018 will receive a free Forever Stamp Set. The stamp set needs to be in your cart for the promo code to work. Limited one per customer while supplies last. Para celebrar el nuevo lanzamiento, Waffle Flower sortea cinco tarjetas regalo de 25$ para su tienda. Podéis dejar comentarios en mi blog y en todas las paradas del hop hasta las 11:59pm ET del 12/10/2017. Los ganadores serán elegidos aleatoriamente y se anunciarán en el blog de Waffle Flower el 12/12/2017. 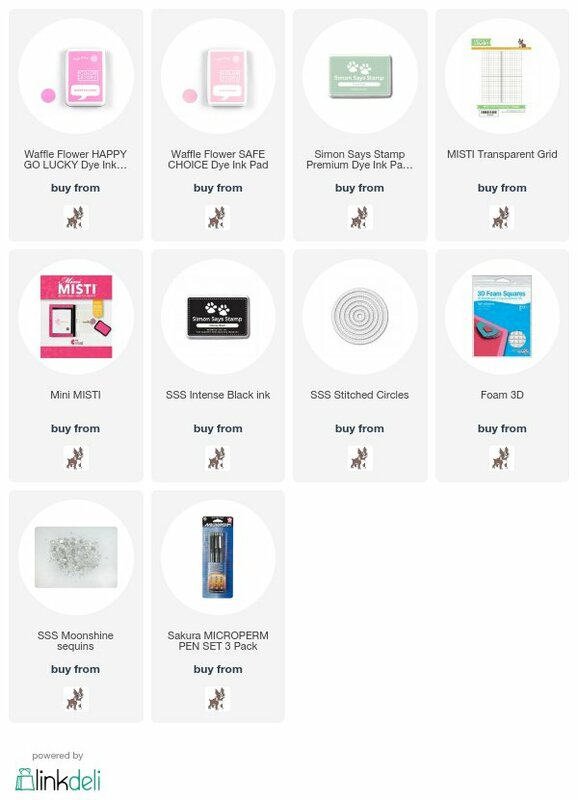 Además, todos los pedidos de más de 25$ hechos antes de las 11:59pm del día 12/10/2017 recibirán el set "Forever" de regalo usando el código VDAY2018. Hay que poner el set en la cesta de la compra para que el código funcione. Solo uno por persona hasta que se agoten. Your next stop is the always amazing Cristina Núñez (Yainea)!!! You can also star at the beginning of the hop here. Such a beautiful card! I love the way you used the die and your colors are so pretty. Thanks for the inspiration! Divine floral card, the popped out piece in the centre is such a great eye catcher, & the colours used are so delicate, spring time. Such a simple yet beautiful card! Im in love with this Forever card, just stunning! Wow! Love how you took a simple set and made it into a gorgeous card. Thanks for sharing. Lovely way to add just a bit more interest to what is already a beautiful wreath. Beautiful but simple little card! Beautiful card! Love the wreath you created. Very pretty clean and simple card! Such a beautiful, unique card. Love it. Sweet card! Love these pretty flowers and the colors you used! Perfect for Valentine's day! I love the way you did that image — stamp, cut, lift! Simple, yet great impact! Thank you for sharing. Those colors work well together. Like the center popped up for added flair. You are right, it is a simple card, but what an important message it sends. The world needs more of this card! I really like the way you raised the center of the wreath. Wonderful. Lovely card Amanda! Great new releases from WF! Clean and simple card but so beautiful. Like how you popped up the center. Thanks for sharing your creativity. This is such a soft and pretty card. Love the sweet little blooms. So sweet and pretty! I love the raised circle!! Sweet card. Love your style! I love the dimension and the colors! Great cards! Love the colors. Thank for sharing and have a wonderful week. Gorgeous pretty wreath! I love how you've popped up the middle! Really nice card! I like the wreath look. Thank you for sharing on this fun blog hop!! Such a cheery and cute card! Pretty floral card with such pretty ink colors! Thanks for sharing during this busy season! Happy holidays! Such a pretty card and lovely sentiment. What a cute way to add interest to a card. Really clever! Very pretty with this wreath of flowers. Your card is beautiful. Loved the sentiment. Thanks for sharing! Beautiful use of the florals! How unique.I love how you did the circle within a circle.. Your colors are so beautiful! Gorgeous card - thanks so much for the inspiration. I really liked the colors you used as well as your layout. Good job! I love this stamp set and how you added dimension to it! This sentiment is needed in everyone's collection! What a lovely sentiment. Love the soft colors. Lovely floral card and color choices! Love your pastels. Waffle Flower has a great release. Thanks to all. Sweet card - love the soft colors. Such a beautiful card. Thanks for sharing your technique. Love your beautiful card. Great design idea. Really pretty card and I love how you popped up the circular panel. Very sweet and feminine design! this is a lovely card - clean & simple, yet very striking! So simple and cute! I love the look! What a sweet and lovely card. I really like this sentiment too!